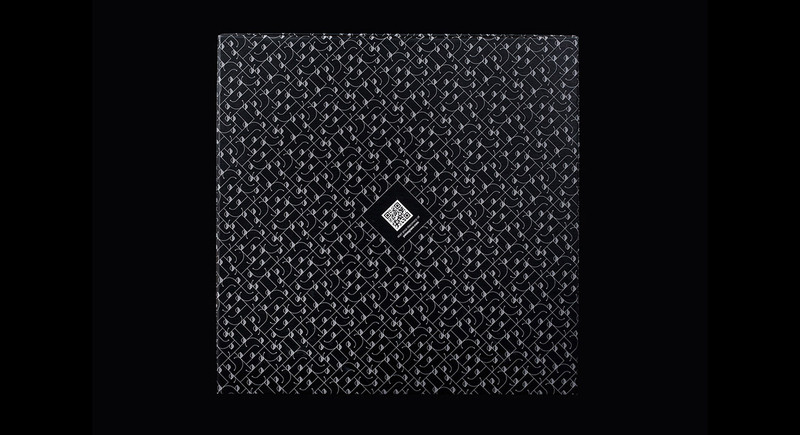 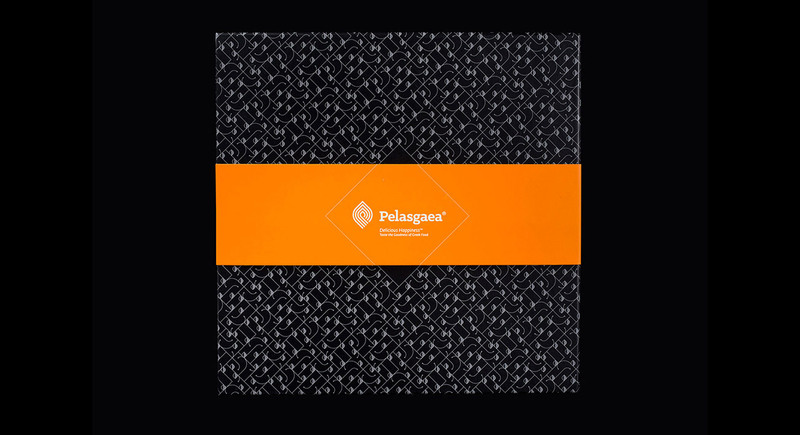 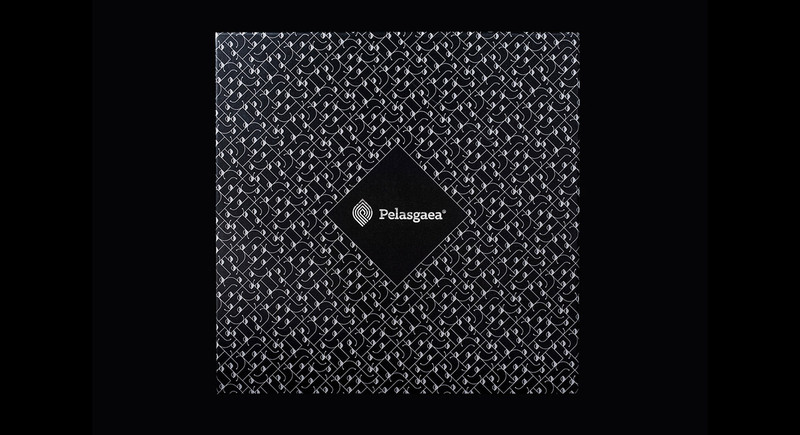 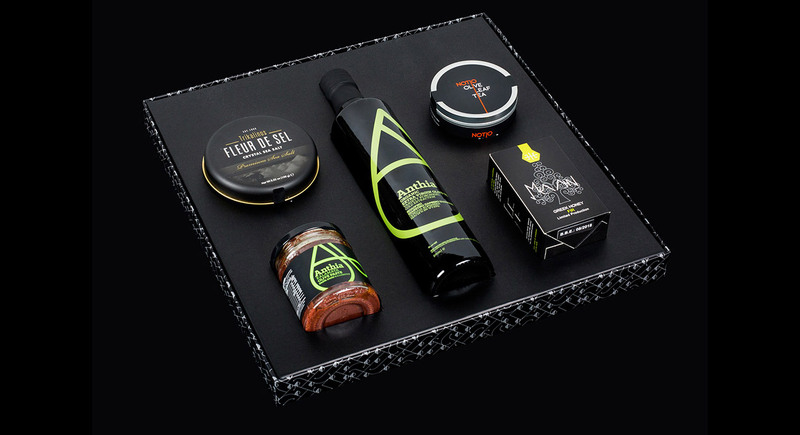 We were commissioned to create a second, special gift box packaging for the premium customers of Pelasgaea S.A. 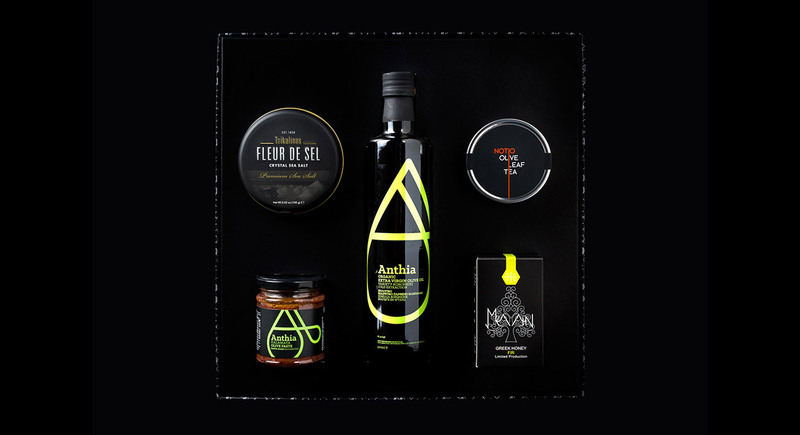 The box holds a 500ml Anthia Exrta Virgin Olive Oil, Anthia Olive Paste, Notio Leaf tea (also designed by our studio) a great honey and a lovely sea salt tin can. 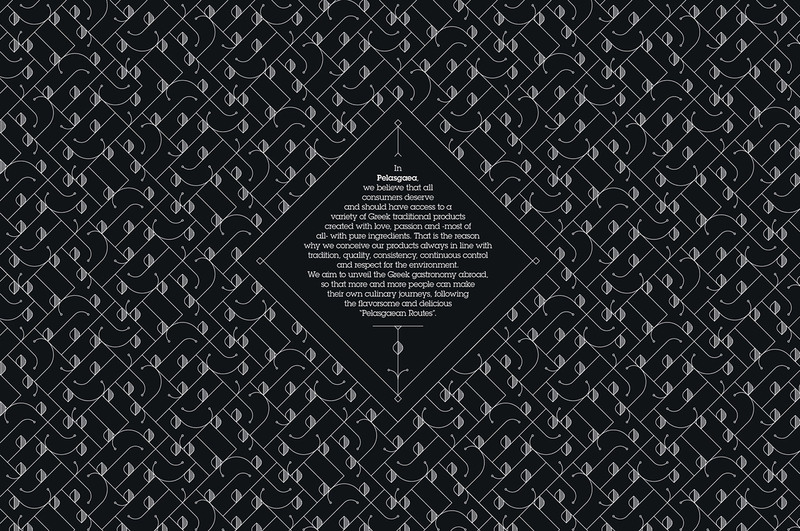 Everything is based on the “leaves and seeds” pattern. 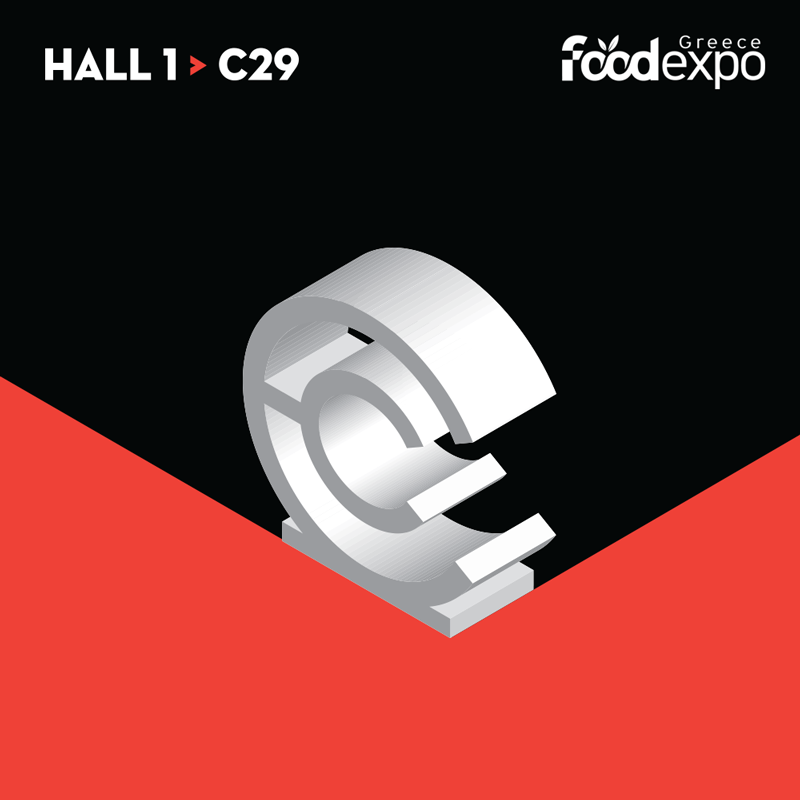 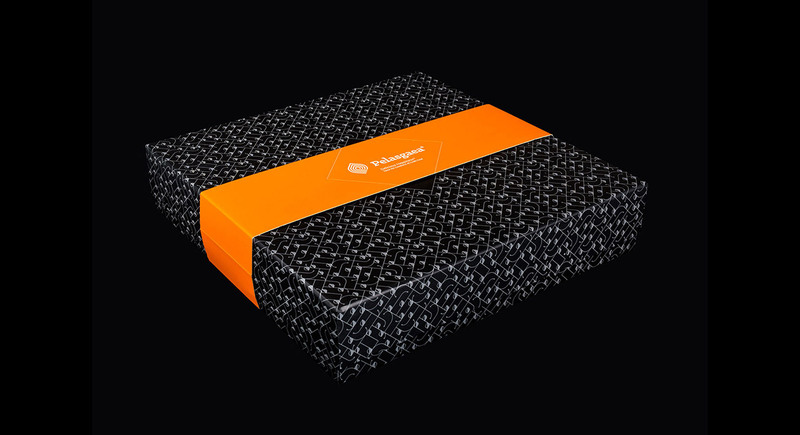 The company logo is printed with sliver foil and we also added an orange belt for the extra contrast but also for security reasons as the final box weights more than 3.5kg.